At Hack Engineering we have the privilege of working with some of the finest aftermarket parts producers that grace this planet. And, when we’re not busy producing parts or carrying out upgrades ourselves, we’re lucky enough to get out on the road to get to know our suppliers that bit better. 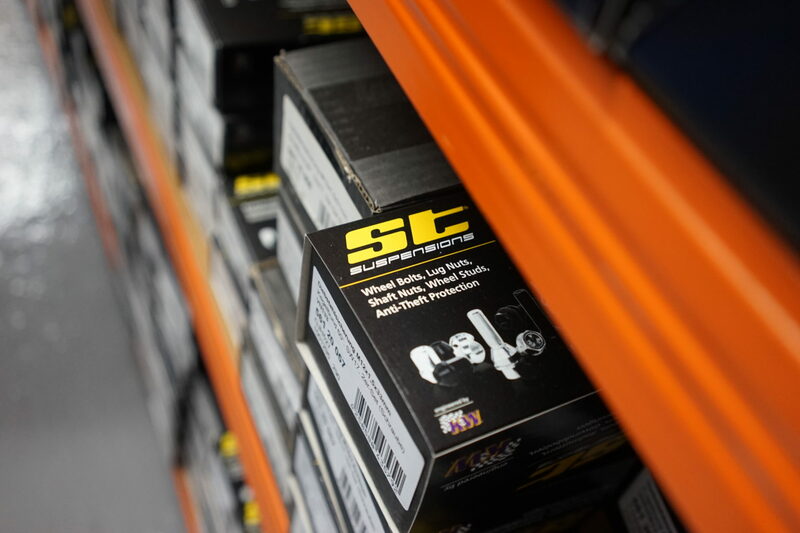 After all, the better we know our suppliers and their products, the better we can advise you as customers as to the very best components for your build. This week it was the turn of KW Automotive UK. 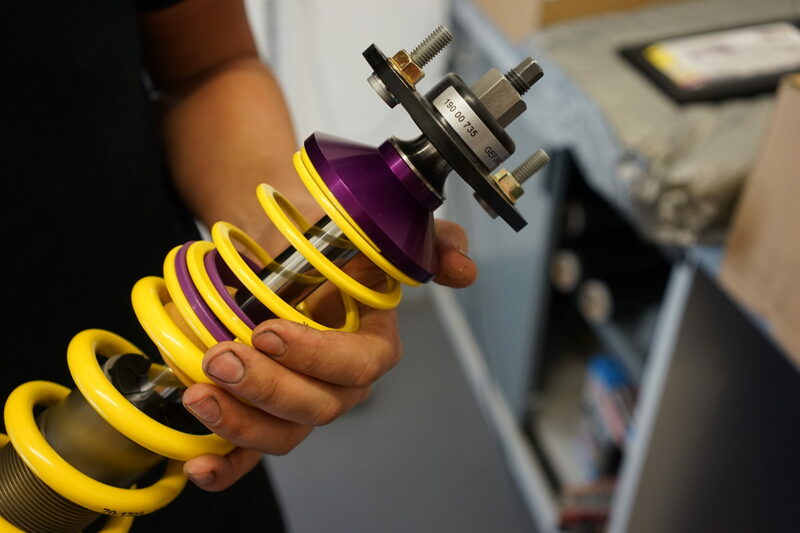 KW Automotive UK is the UK’s division of KW Suspension, a company deeply routed in motorsport. Established in 1995 in Fichtenberg, Germany, KW begun as one man’s vision for creating the ultimate suspension for motorsport use – that man was Klaus Wohlfarth, and he remains at the head of the company to this day. Having worked in many areas of motorsport from circuit to hillclimb, his efforts did not go unnoticed, and KW now stands as one of the world’s largest aftermarket suspension manufacturers. That’s not all – KW are also suppliers for OE vehicles, having worked with BMW M, Alpina, MINI John Cooper Works, Mercedes AMG and many more. 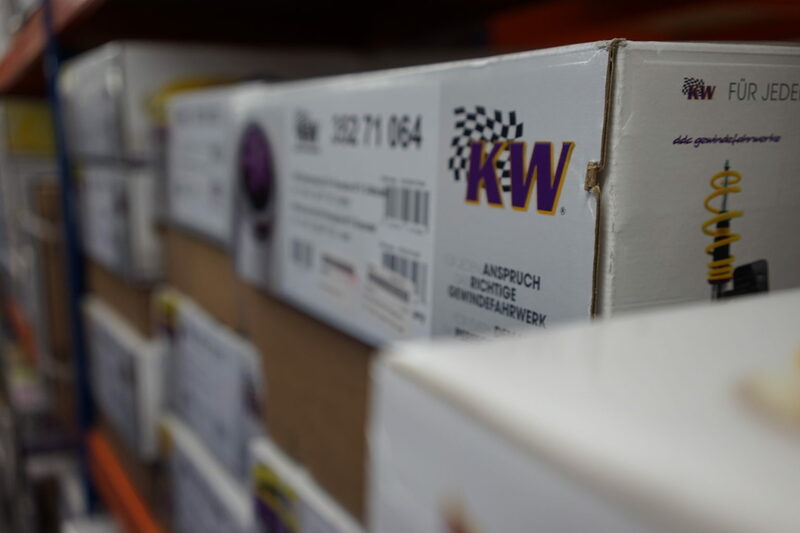 KW Automotive UK are often thought of as simply the UK’s distribution centre for KW’s ‘off-the-shelf’ range. However, this couldn’t be further from the truth. 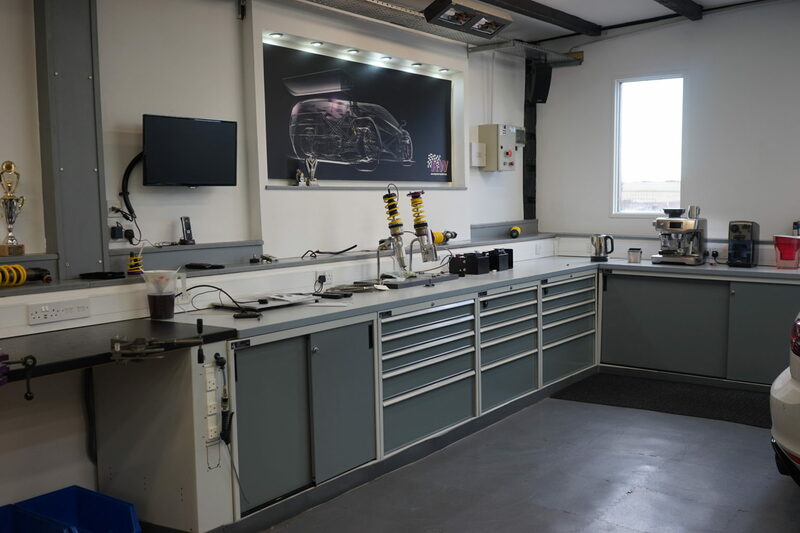 Though a large part of its work is of course serving a range of KW dealers – ourselves being one of them – KW Automotive also has state of the art facilities for product research and development, damper overhaul and testing facilities and much more. 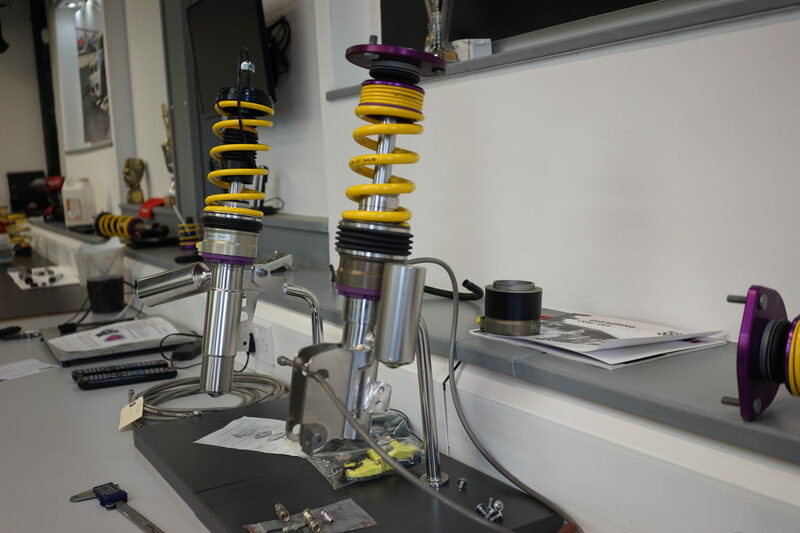 While the main workshop houses those R&D projects, a separate damper room is home to rebuilds, with complex and precise suspension components laid bare. 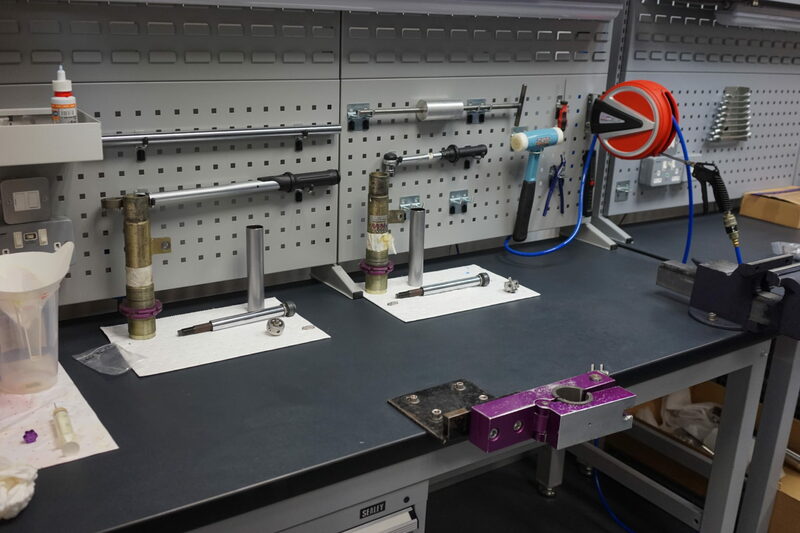 Once overhauled using KW Automotive’s extensive spares inventory, the dampers are then tested on the damper dyno; this itself is directly linked back to the KW factory in Germany, meaning that dampers can only be approved once through stringent specifications and approved by both UK and German counterparts. As well as offering KW Germany’s set menu of kits and components, KW Automotive UK also carry out its own special projects and editions; such as this self-titled ‘Heritage’ kit for a VW Corrado. The same KW quality components and internals, just in a more subtle and discreet colouring and finish. Custom-configured and assembled right here in the UK. 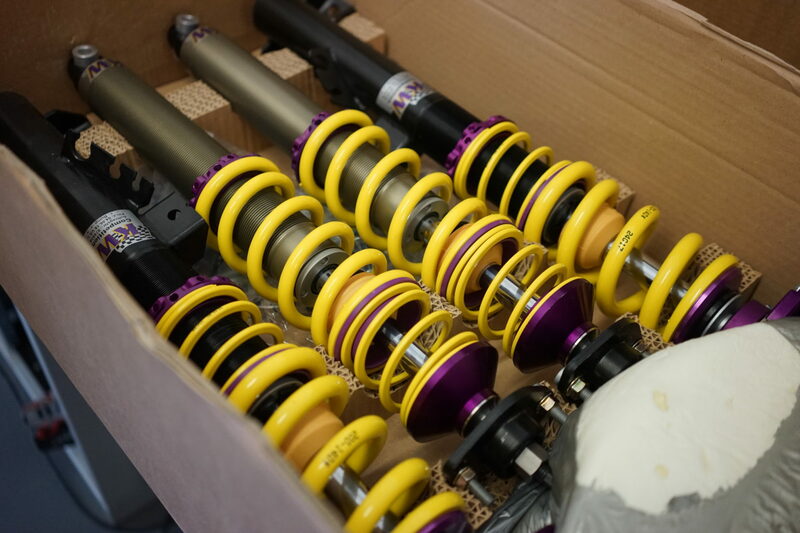 Into the warehouse; KW Automotive UK stores a huge array of KW and ST coilovers, lowering springs, anti-roll bars, spacer kits, spares and more. This allows them, and in turn us, to always be able to offer the fastest possible service when it comes to supplying our valued customers. 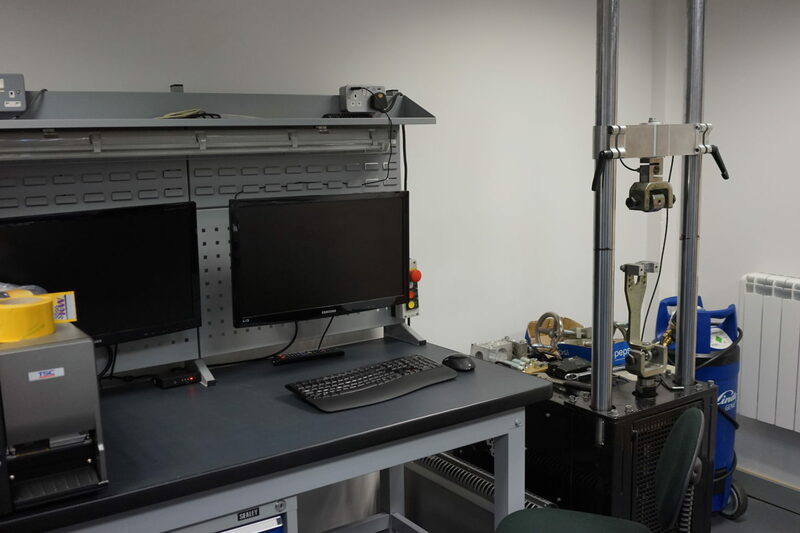 As always at Hack Engineering, we believe in practising what we preach; we are enthusiasts ourselves and through our own knowledge and experience, we aim to offer the ultimate service. So, another reason for our visit to KW Automotive was to pick up KW Competition 2-ways for our own E36 Touring. After communication between ourselves and KW, this suspension setup was custom-valved with selected spring rates perfect for our requirements. 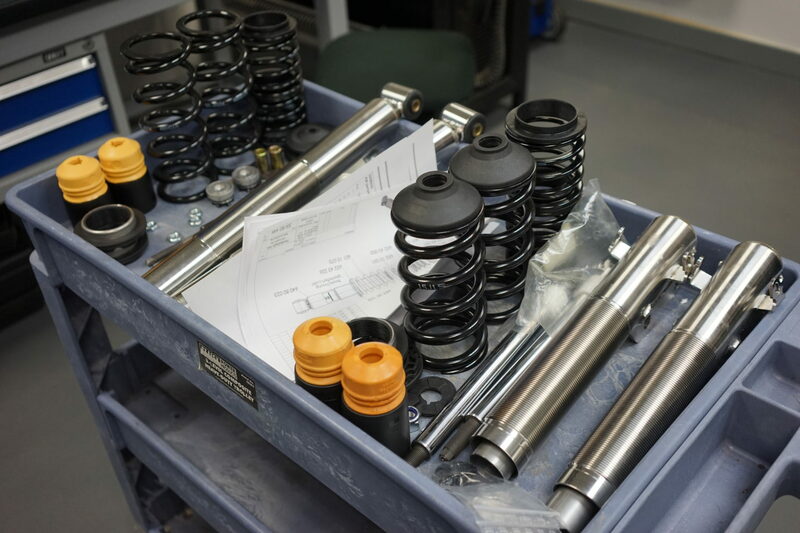 To get your fill of KW suspension components, all you have to do is check out the KW Suspension section on this very website, or contact us if you don’t see something you require; as ever we aim to offer a complete service and we are always happy to help our fellow enthusiast.